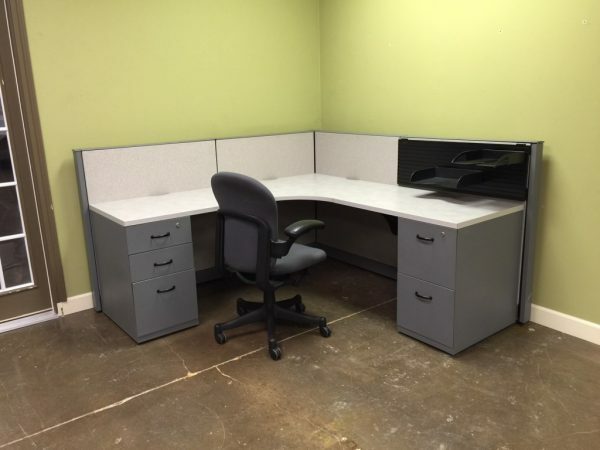 These cubicle are perfect for someone looking for something fast, quick and affordable. Steelcase Answer is a higher end brand of cubicle and is very widely sold. Steelcase is known for their well constructed and very study design aspects. Each of these cubicles are 6X6 and 42″ tall. They feature a neutral grey finish that could go with any office decor. Each cubicle comes with one box box file and one file file. This load also has glass stackers available ( not shown ). If you would like more information on these cubicles please chat online today or fill out the form below.